The Catalan Government's Opinion Studies Center poll published today (Catalan English) confirms the trend of the El Periódico poll from a few weeks ago with increased support for pro-independence parties and for independence itself. 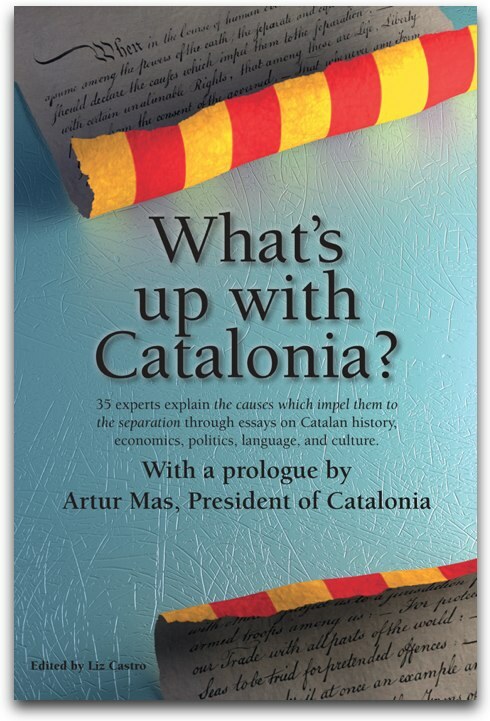 2000 people, distributed amongst Catalonia's four major metropolitan areas, were interviewed by phone between May 31 and June 13, 2013. 72.5% believe Catalonia has achieved an “insufficient level of autonomy”. Only 19.1% believe it has a “sufficient level” and less than 5% think it has too much. 47% believe that Catalonia should be an independent state. 21.2% that it should be a state in a federal Spain, 22.8% that it should be an autonomous region of Spain and 4.6% that it should be a region in Spain. When asked how they would vote in a referendum to decide the independence of Catalonia, 55.6% said they would vote yes, and 23.4% said they would vote no, with 15.3% abstaining. In other words, if the abstainers stay home, the end results would be 70% in favor of independence (55.6/79) and 29.6% against. There has been some question as to whether the CiU federation would be split by the independence vote, but the poll says 78% of CiU voters would vote in favor of independence, while only 7.9% would vote against, with 13% abstaining. That seems to indicate that Unió, led by Josep Anton Duran i Lleida, who has repeatedly stated that he is against independence, has little following, at least with respect to independence. If elections to the Catalan Parliament were held tomorrow, the pro-independence and pro-referendum parties would win huge margins: 22% for ERC, 18.2% for CiU. The shift from CiU to ERC is hard to gauge. Is it frustration with economic crisis? Or frustration with distracting message from Unió/Duran? Continued support for independence would seem to indicate that the problem is not the referendum. If that were the issue, we'd see more voters fleeing to non-indyref parties like PP and C's, but that is not the case. The Catalan Government has helpfully made available an English version (albeit shortened) of the poll. The full report (in Catalan) has some additional interesting bits. 87.3% think that the current economic situation is 'bad' or 'very bad'. And 33.9% think it'll be worse next year, 38% say it'll be the same and only 21.9% say it will get better. That's not a lot of hope. When asked about their personal situation, 42.7% said it was the same as a year ago, and 52.2% say it was worse. I'd love to see that statistic over a longer timeframe. Here's a question that I find hard to interpret: “How would you rate the political situation in Catalonia/Spain?” 70% said 'bad' or 'very bad' (in Catalonia), and 95.1% said it was 'bad' or 'very bad' in Spain, including a full 60% who said 'very bad'. It's such a general question. It could mean “Do you think the political system works?” or “Do you think politicians are corrupt (or self-interested)?” or “Are you worried about political situation?” or a slew of other things. Meanwhile, 59% are interested or very interested in politics. So, at the very least, they're not disengaging. Further, 63% say they talk about politics very frequently or frequently. And 69% consider themselves very well or well informed. Only 1% is very satisfied with “how our democracy works”, compared with 15.2% who are pretty satisfied and 56% who are hardly satisfied and 26.7% who are not satisfied at all. People still rely heavily on television (82%) for political news, as compared with radio (40.3%), newspapers (60.8%), internet (39.5%), and friends/family (38.5%). And 50.6% say they watch TV news in Catalan (on TV3), as compared with less than 9% for all of the other channels (individually, not combined). And the perennial question of how Catalan do you feel: 31% only Catalan, 25.7% more Catalan than Spanish, 35.6% as Catalan as Spanish, 2.6% more Spanish than Catalan, 3.6% only Spanish.